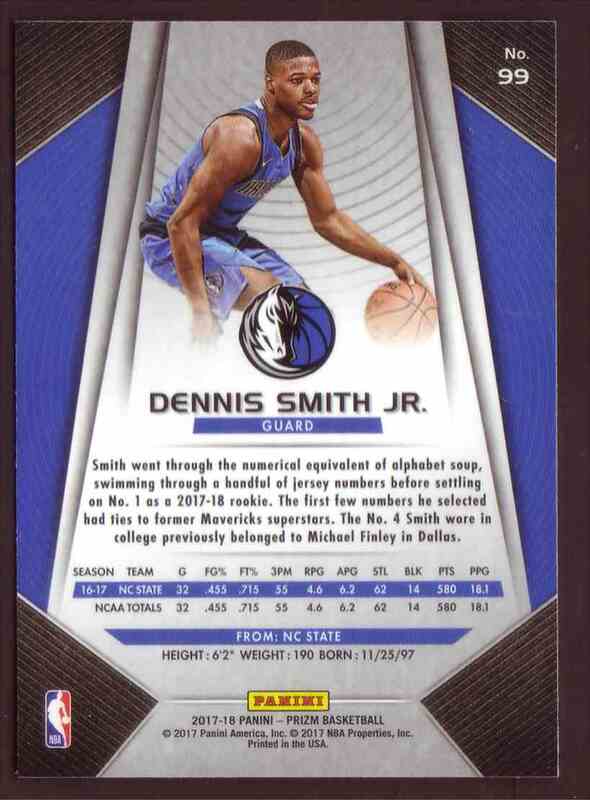 This is a rookie Basketball trading card of Dennis Smith JR., Dallas Mavericks. 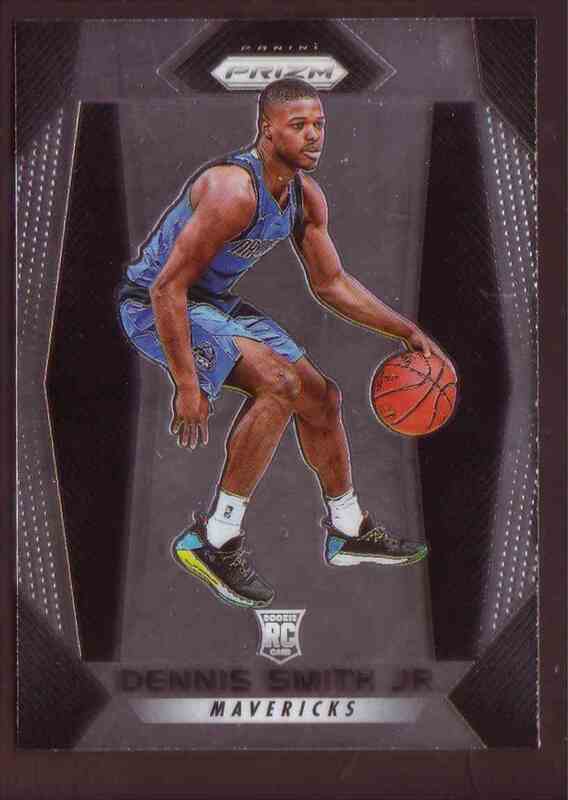 It comes from the 2017-18 Panini Prizm set, card number 99. It is for sale at a price of $ 4.00. Approximate size based on scanned front picture: 3¾" x 2½"
Welcome to my store, I am a long time card collector live in Hong Kong. I mostly collect Utah Jazz, Anaheim Ducks...and a bit of everything!! Been buying, selling and trading online since 1995. Please do not hesitate to send me a message if you have any queries about the items. Would listen to all reasonable offers! !